Dakar, Senegal The West Africa Seed Program (PSAO/WASP), of the West and Central Africa Council for Agricultural Research and Development (CORAF/WECARD) organizes an international workshop from next 20 to 21 March in Lomé, Togo for the formalization and planning of the Regional steering, monitoring and inclusive dialogue committee (RSMC). This organ (RSMC), whose creation is part of the implementation of the Alliance for the Seed Industry in West Africa (ASIWA), has not yet been formalized since it was created in 2015 in Abidjan. The overall objective of the workshop is to formalize the RSMC, provide it with operational tools and an appropriate action plan to facilitate the efficient deployment of ASIWA. The workshop of Lomé should make it possible to draft a list of the official representatives of the organizations that make up the RSMC, to agree on the basis for an efficient functioning of this organ and finally to develop a plan of action for the RSMC. RSMC is a crucial organ for the deployment of the ASIWA. According to the concept note of the Lomé workshop, ‘it is important that the representatives of the different member organizations are formally designated and meet to finalize their work and draw up an action plan’ ‘. The effective start of the activities of the RSMC would make it possible to “consolidate the efforts at the level of the already functional national platforms and to stimulate a real regional dynamics” according to the same document. At the end of the meeting, the RSMC will be “effectively put in place and will have the tools of operation and planning an efficient execution of its mandate” emphasizes the concept note. The efficient deployment of ASIWA is highly dependent on the RSMC. The mandate, composition and mode of operation of the RSMC were outlined in 2015 at the Abidjan workshop which saw the creation of the ASIWA. The main purpose of the RSMC is to facilitate the definition, the application of the strategic orientations of the Alliance through inclusive and consensual dialogue and to make the structural and operational adjustments that would be necessary of the efficient achievement of its objectives. 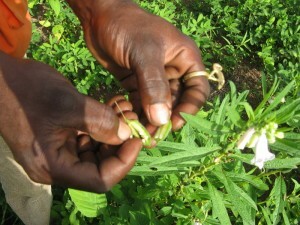 The RSMC is composed of 21 persons, including 17 statutory members and 4 observers like USAID, World Bank, FAO and IFAD. The aim of the Alliance is to promote the sharing of experiences, the pooling of resources and the creation of fruitful synergies between the various stakeholders in the West African seed sector.